The popularity of having a dressing room in one’s home has certainly grown over the past few years. As an architect or interior designer, you might have found your clients asking for space for a dedicated dressing area, and as a home-owner you probably always wanted to have one of them in your home. 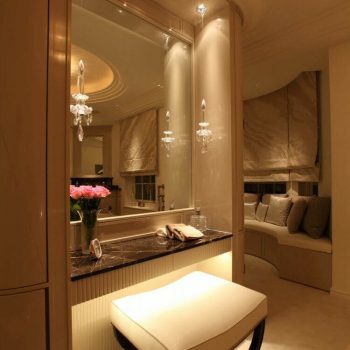 Nothing can be more luxurious than a room dedicated to dressing. Having storage for one's shoes, boots, bags and scarfs. 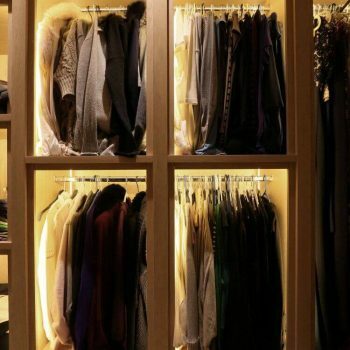 Imagine being able to store your long and short dresses, trousers separately, and each of them having a dedicated cupboard – just like in a luxury boutique. The challenge is to get the dressing room lighting right and key to its success is to introduce layers of light. 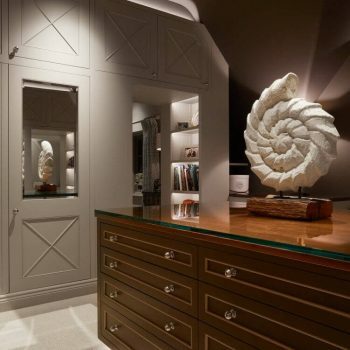 1.Consider adding the glamour of a pendant in the centre of your dressing room. This creates a focus and an alternative source of light to balance the directional downlights. 2.Create interest with lamps on side tables. This will provide a soft intermediate light. Think about uplighting window reveals as seen here with 1w Luccas along with creating a focus over a central chest of drawers, here lit with two Polesprings. As a final layer add a floating effect under the central drawer unit with Contour HD24. Put this on a PIR to create a nightlight if one goes through the dressing room to the bathroom at night. 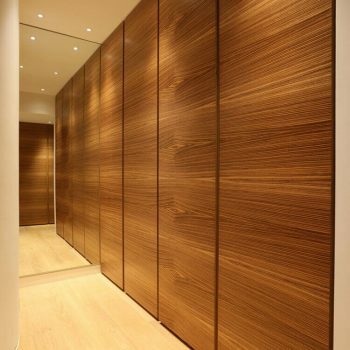 3.Simple use of downlights directing light straight down will create a strong light which is not ideal when trying to create an intimate space such a dressing room. Consider instead directing them at the cupboards. Here a Polespring with a medium beam reflects light back off the cupboard for a softer effect. This has the added advantage of lighting the clothes when the cupboards are open too. 4.The trend for open shelving in dressing rooms continues. The best way to light these is with LED Contour HD24, concealed either at the front or the back of the joinery. This gives a good focus on clothing, helping to differentiate colours and provides an alternative to a directional downlight. This solution will not only add drama to your dressing room space but will also increase the feeling of height in the room. 5.Another way to add an additional layer of light which adds extra softness to the space is if you have cupboards which do not go to the ceiling, add an uplight such as a Contour LED strip from the top. This will allow you to create a bright light for during the day or, when dimmed, a warm glow at high level for the evening. 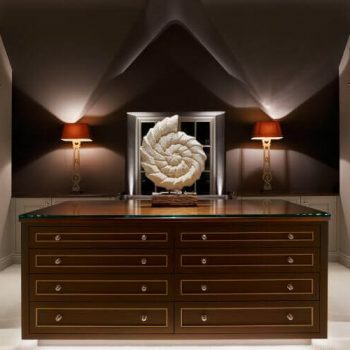 6.If your dressing room also has a dressing table, you will need some excellent task lighting to ensure that you can see to put your make up on. Consider adding side lights such as these decorative pendants to provide even light either side of your face. At low level, Contour HD24 LED strip has been added to create a floating effect under the unit.